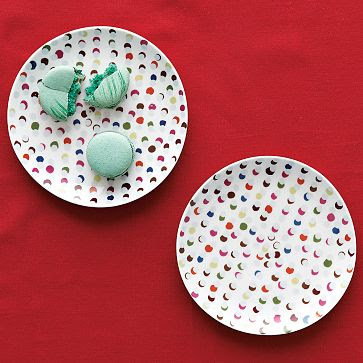 I love West Elm's selection of holiday dishes. They're festive, but still sophisticated. Although I'm afraid if I bought them, they'd stay out year-round. I LOVE those first ones! Gorgeous. Bring on the holidays! 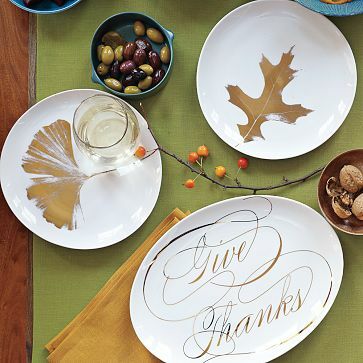 That Give Thanks plate needs to be in my collection -- what beautiful, shiny detail! 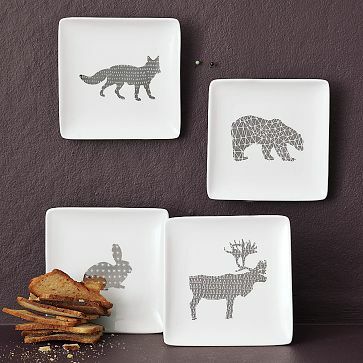 West Elm always has such brilliant products. I love the tree branches! 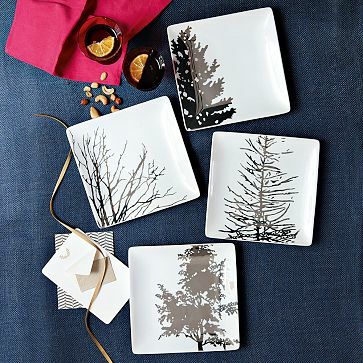 Love that ginkgo leaf plate. 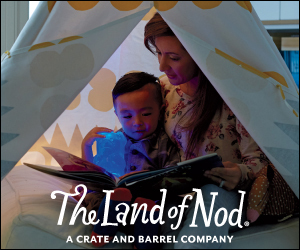 the second i say these, i knew they were west elm! so lovely! You could totally use these all year round, love them! oh yes! look at those leaf plates! love 'em all. so festive!! These are so lovely! And not at all tacky like so many other holiday accessories! these are so nice! I especially like the gold ones.. I love the animals! So awesome! i stopped in west elm the other day and thought the same thing. too cute.